I’m so obsessed with this recipe. I created it completely randomly the other day when I had an idea.. If cashews and water can make a cream, then surely this cream can be used to make a caramel? 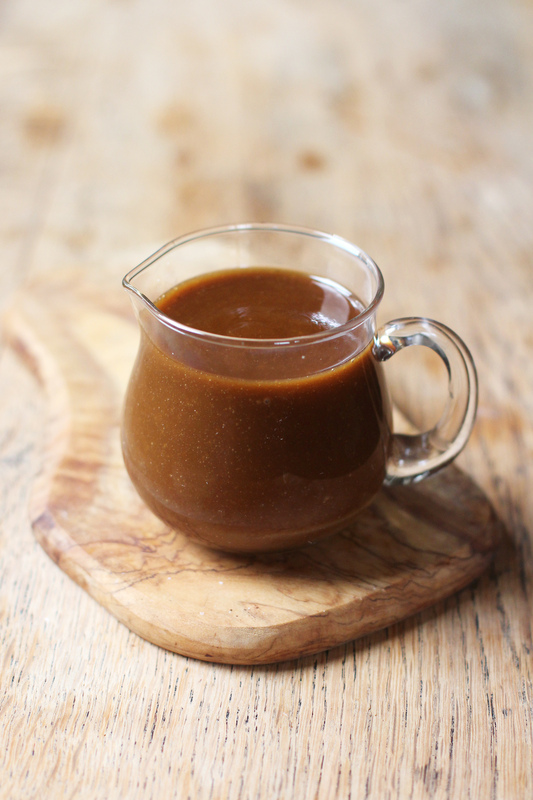 I’ve used coconut sugar before in different ways to make caramel, however this recipe for it is my favourite by far. Somehow, cashews make just the right consistency for a perfectly rich, creamy caramel. I love the flavour of salted caramel, so I also add some salt into mine, but of course you can leave it out if you like. It just takes 8-10 minutes to form a saucy consistency, but the longer you leave it, the thicker it will get and vice versa. I’m so in love with this recipe – and have been making it repeatedly since discovering it, so I hope you enjoy it as much as I do! 1. Firstly, add the water and cashews into a blender (I used my NutriBullet) and blend until a completely smooth creamy consistency has formed – this may take some time depending on the strength of your blender. 2. Then, pour the coconut sugar into a pan, followed by cream and salt. Place the pan onto a low heat, and stir all of the ingredients together. Continue to stir the mixture fairly often – every few seconds or so, for between 8-10 minutes, until the sauce has thickened and formed a caramel consistency. When this is done, remove from the heat and pour into a jug to serve. Oh wow! This looks AHMAZING! 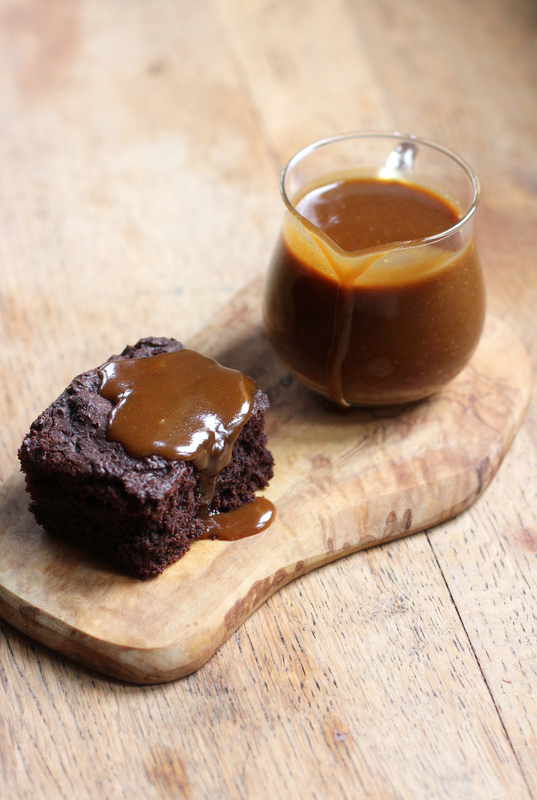 I’ve been wanting to try a vegan salted caramel sauce for ages, cannot wait to test this out Harriet! Well done! OMG. That looks absolutely incredible!! I’ve been trying loads of different caramels lately, and the ones with coconut sugar and coconut nectar are always my favourites. YUM! Hi Teffy, thank you so much!! Oooh coconut nectar sounds really good – I also love using maple syrup. There’s just so many ways you can make caramel, it’s crazy I love it! Oooh, this looks amazing! What an amazing vegan and healthier option for a sweet treat. Will definitely be trying this! Simply incredible! Kudos to you for coming up with this, I would have never thought to convert cashew cream to caramel. I will have to try this! What a good idea! And so simple too. And I agree with making something chocolate to pour it on . . . win win! Hi Laura, thank you!! 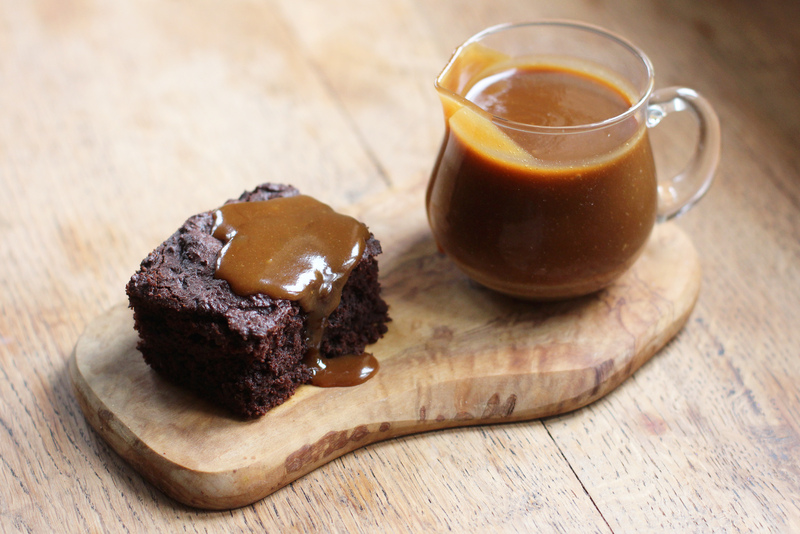 I completely agree – nothing beats the combination of chocolate and caramel – mmmm! Hey, I don’t mean to offend the poster and creator of this recipe, I was just wondering if anyone else has replicated this recipe at home? If so what was it like? Everyone is commenting that it looks so simple and easy and delicious but I just wondered what the at-home experience with this was. It honestly does look delicious and I really want to try it, but I don’t have a nutribullet and I was thinking about getting one earlier this year but I just haven’t gotten around to it. If I get it before someone comment/reply’s to this then I’ll post a review of it, but if anyone could post their review, politely obviously, that’d be great. Hi Harriet, this looks awesome! I was thinking of cooking the sauce for a little longer and using it in something like millionaires shortbread. How does it hold up in the fridge? Does it get much thicker – thick enough to hold a sizeable layer of chocolate? Thanks! Hi Amy! Thank you so much! 🙂 This recipe would probably still be too runny for a millionaires shortbread, so what I do when I want to make it thicker is: I blend the cashews and water, then, add in about another 1/4 cup (35g) or slightly less cashews, and blend again until smooth. (Doing it this way makes it easier on the blender). Then, I use the same steps as in the original recipe – maybe heat it through for a minute or so less. 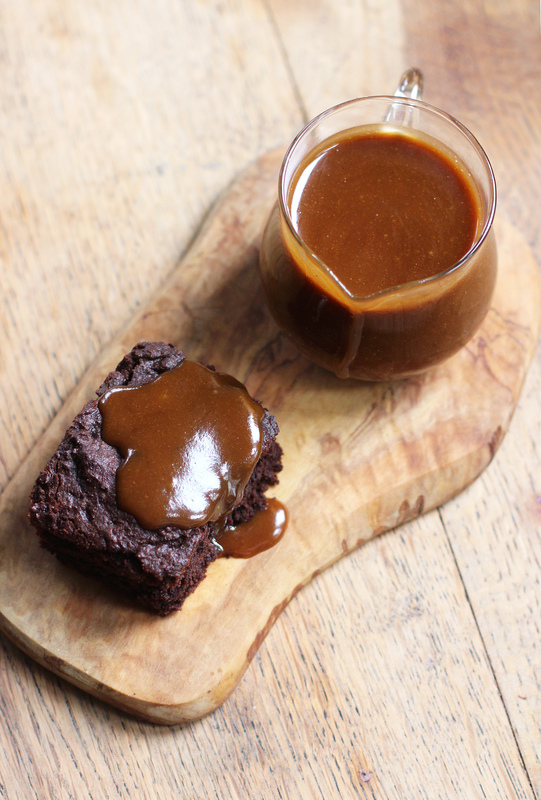 It makes a more toffee like consistency that is thicker than the original sauce! It won’t set firm like your traditional caramel in a millionaires shortbread, but is firm enough to hold chocolate. Just make sure you give it a good few hours to set in the fridge/freezer before pouring the chocolate on top. Also, I would perhaps suggest raising the edges of the shortbread around your tin if this is possible (kind of like when you make a tart), as that will also help to contain the caramel sauce inside – so it doesn’t seep out of the edges. I haven’t tried this in a millionaires shortbread, but you’ve definitely inspired me to try it out! It’s such a great idea 🙂 good luck with the recipe, and I hope you enjoy it!! I hope this helps 🙂 let me know how it goes! Could you soak the cashews beforehand? Or would that change the consistency of the sauce? Thank you for this gemreat recipe. Can’t wait ti try it. Do you know how long can this be stored in refrigerator?